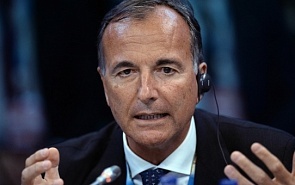 President of the Italian Society for International Organization (SIOI), former Minister of Foreign Affairs. The Italian government is right that Europe has to protect, to promote, to help, not simply to dictate bureaucratic rules. But what we see is mutual distrust on migration management, since Italy was deeply affected by the refugee crisis and abandoned to face the crisis on its own. European leaders must take action and resume as soon as possible some important dossiers, like the new strategic cooperation agreement with Russia. Only in this case Europe will play a global political role, creating a bridge between West and East.